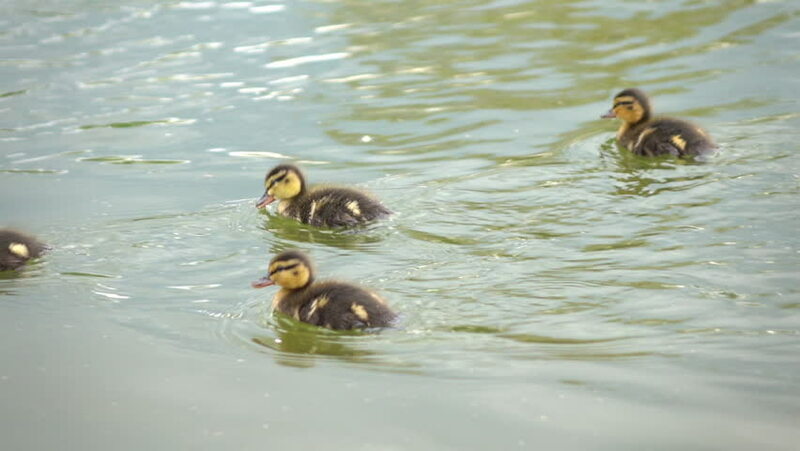 Group of little ducklings, swimming on water surface and then running away. Closeup of wildlife in slow motion. Bird family in full HD footage 1920x1080. Natural beauty of animal kids. hd00:11Bees feeding on the algae ecosystem on the surface of the water pond. hd00:21Pine tree lappet crawling through on stone.